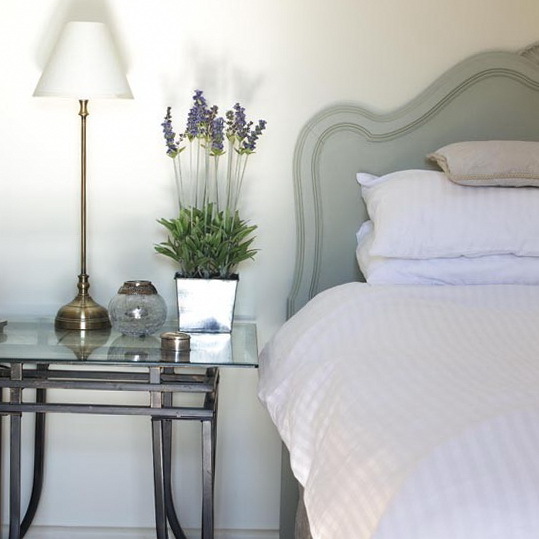 Try placing an elegant glass side table and slim table lamp beside a scalloped linen headboard. In this soothing scheme, grey tones and a potted lavender plant bring the outside in. Striped bedding and a vibrant table lamp warm up the wooden flooring and bed in this elegant scheme. A simply dressed round table adds a traditional air. Strike a bright note with floral bedlinen. In this pretty scheme, bold pink florals liven up a traditional bedroom. 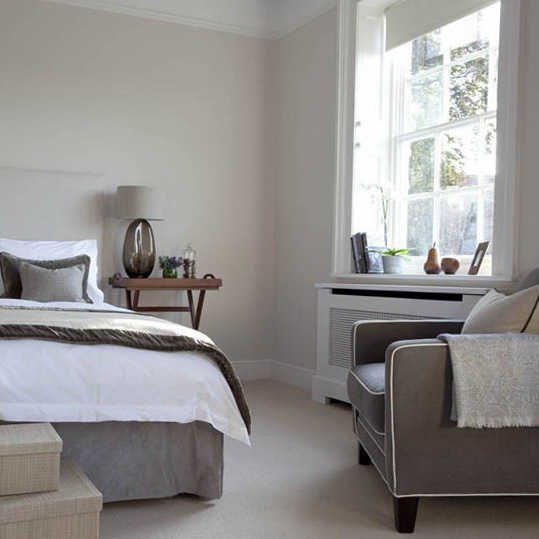 A combination of greys, stones and taupes adds an elegant air to this traditional bedroom. A cream blind and a practical butler’s tray table keep the look simple, while plenty of throws create a luxurious feel. 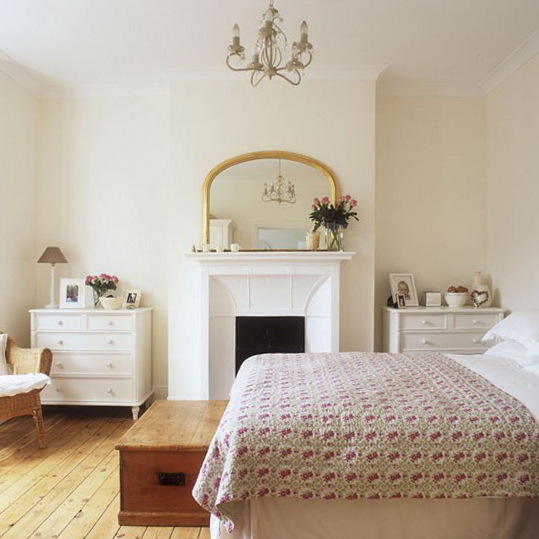 For a traditional look, try sticking to simple colours and creating a sense of symmetry. In this scheme, two matching chests of drawers flank the fireplace, while a chandelier adds an elegant touch. Try using a statement piece of furniture to anchor a scheme. 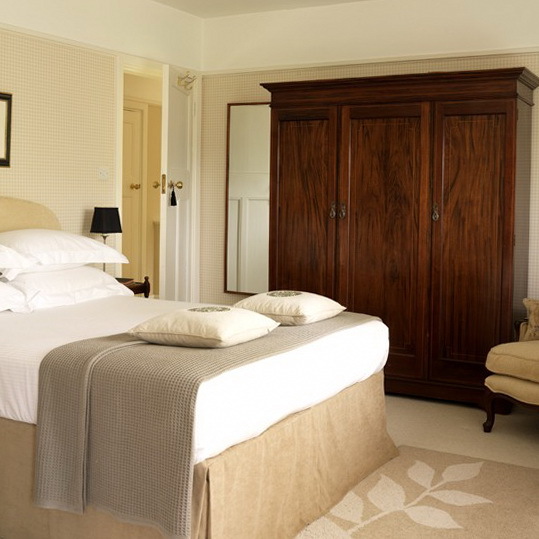 Here, an elegant antique wardrobe takes centre stage, while also providing useful storage. Combine florals, checks and stripes for a truly traditional scheme. 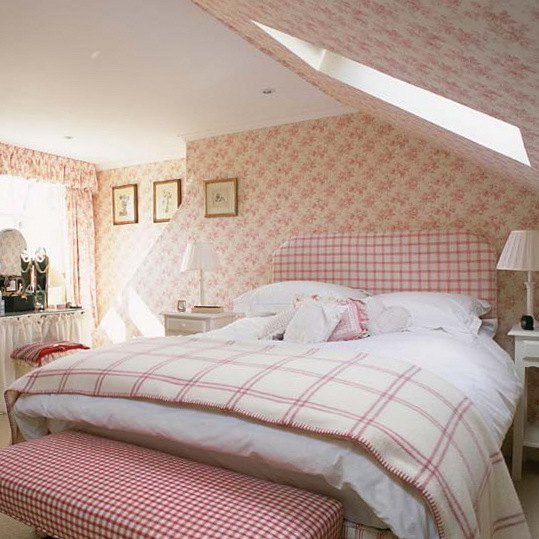 In this attic bedroom, a combination of pink and white creates a crisp look. 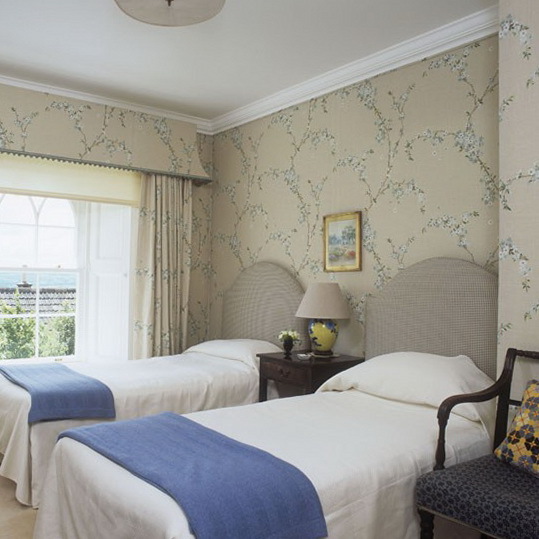 Delicately patterned wallpaper, matching upholstered headboards and a traditional window treatment makes this a sophisticated twin guest room. Try using a collection of artwork to anchor the scheme in a neutral bedroom. 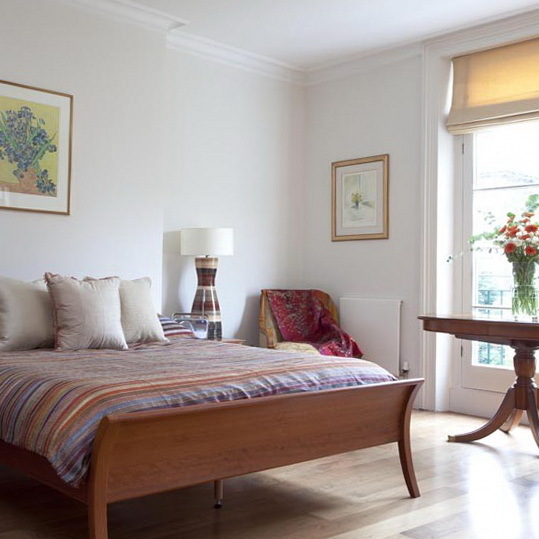 In this room, treasured art strikes a traditional note, alongside a wooden sleigh bed and matching side tables. 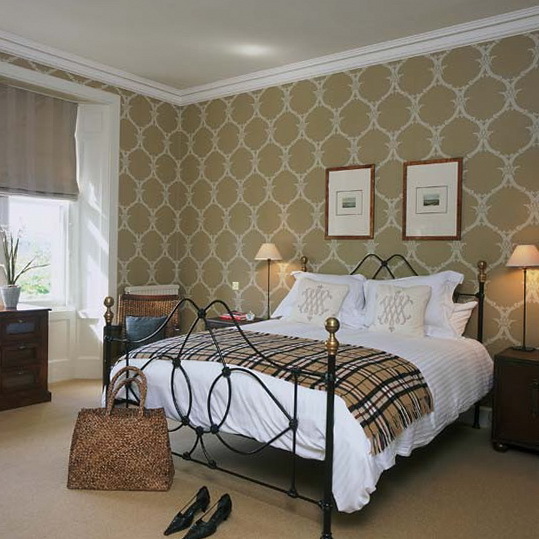 Elegantly patterned wallpaper, a wrought-iron bedstead and a neutral window blind adds a sophisticated note to this traditional scheme.